Lewis & Clark Expeditions Fly Fishing Outfitters, is successfully owned and operated by Mike Geary for over 25 years and counting. L&C Expeditions guides on the Blackfoot, Missouri, Upper Clark Fork, and offers 5-day float trips down the Smith River in Montana. In 2013, Mike bought Healing Waters Lodge, in Twin Bridges, and moved his L&C Expeditions operations from Helena to Twin Bridges. At the end of the fishing season in 2015, Mike added to his outfitting business with the purchase of Lilly & Kemph Outfitters fly fishing business serving southwest Montana on rivers such as the Beaverhead, Big Hole, Jefferson, Madison, Ruby and miles of private water access on spring creeks, streams, ponds and lakes. 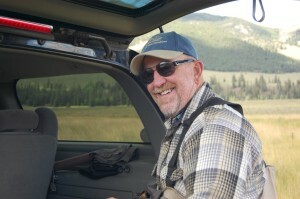 Lewis & Clark Expeditions continues to be a highly respected force of professional, knowledgeable, dedicated, proud, personable, enthusiastic fly fishing guides at your service.